Following the recent release of ARKit by Apple, I’m very excited to announce the release of Sketchfab AR on iOS. With close to 2 million 3D models to explore, this makes us the largest AR library on the planet. And given our integration with pretty much every possible way to create 3D content, it also makes us the easiest and most seamless way for creators to publish AR content on iOS, without needing any code. Given the reach of the iOS ecosystem, this is a big milestone for us. Half of the iOS users, so roughly half a billion devices, will have access to iOS11 and ARKit, and as a result we are able to bring mobile AR to a massive audience. Mobile AR lets you navigate 3D content in a much more natural and intuitive way than a 2D screen. You can move around any object or scene with 6 degrees of freedom, just like you would in real life, or in VR, but without the limitations of either. It’s really a new medium in that sense. AR also provides a great way to get the sense of scale of a virtual thing, which is very hard to do without the additional context provided by mixed reality. The AR feature is available on iOS for any Sketchfab model. Download our iOS app to get started, then open any model, and click on the AR icon in the top right corner. Aim at a horizontal flat surface until you see the Sketchfab floor appear, then simply tap on it to place the model. You can then zoom in and out by pinching, or tilt to rotate. And most importantly, you can walk freely around the model which will be locked in space. If you want to reposition the model, just re-tap the screen to bring the floor back, then re-tap on the floor to reposition the model. The surface needs to be horizontal. The iOS AR functionality only lets you pick between horizontal and vertical, and we went for horizontal. The surface needs to be large enough and not too plain, otherwise it won’t be detected. Given the fact we are using a webview in a native app to offer the feature, there is tad more lag than a full native experience. We are working on ways to reduce it. Right now there is no way to define the scale of your AR models at launch, you need to do this on screen with pinch. In future versions we will use our VR editor and support the scale defined there. Some models are too heavy for mobile browsers, and crash in the app, so they’ll crash in AR as well. We are constantly working on ways to improve this. The app offers a “VR/AR ready” filter to only browse content that will run very well. In order to optimize for performance, we disable post process effects for AR. ARKit is only available for iPhone 6s and above, and iPad 2017 models running iOS 11. Here is a collection I put together of a few models which look either good or are fun in AR. For artists, a quick tip is to add a dropped shadow to your models, which will make the AR effect much more powerful. We are thinking about ways to bring this as a feature in the app. With the introduction of ARCore by Google recently, we plan to introduce the feature in our Android app soon. 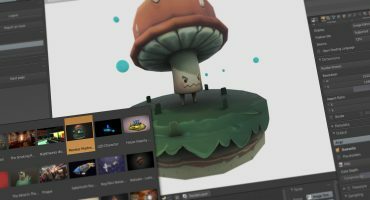 And if you are an AR developer just looking for content to use in your AR apps, Sketchfab already offers more than 100k models available for free download. As a teacher who does not yet have iPhone’s for VR purposes in the classroom, it would be GREAT if you could make this app available for the iPad. Any chances that will come? > ARKit is only available for iPhone 6s and above, and iPad 2017 models running iOS 11.
they jumped the gun and released an ios because they thought people wanted it. Sorry about that. Being a web viewer does introduce some inevitable lag, but we have a few performance improvements coming up! This is great! Our models look excellent, hope you can work on the scale soon, it would be great to show our models in a close to real size. How can we show this AR models in our native iOS app? Is there any document we can share with our developers to help them with the implementation? Great work! This is really going to help empower folks to implement creative AR experience entirely on their own. Glad you guys got on it early, especially since you’ve already got a solid base of folks uploading their own 3D models. An Android version is coming up! But as ARCore was released later than ARKit we need a bit more time to finish it. This is less of a SketchFail and more of a GoogleTimingFail… Android Sketchfab users have had stuff like Samsung’s Gear VR (awesome) to fiddle with while iOS users not so much. 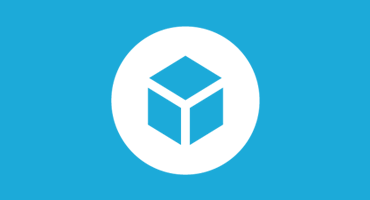 As an Android/iOS hybrid user, it’s nice to have AR support for iOS to get my fellow Apple users on board with the coolness that is Sketchfab. Great work! Having played with it now I have a suggestion. I was at Microsoft recently getting a demo of Hololens and one thing I really liked is that you could place something then raise or lower it’s vertical position. I’ve been placing my models on the floor with the Sketchfab app but would like to raise them up so I could look underneath them. Possible? Perhaps with a couple of on-screen buttons or a vertical swipe on the screen. Great suggestion, I’ll pass it along. Thanks! How do I get my own models in? Sign in to your own account from the menu in the app, then click on your profile picture in the menu. This will take you to your Sketchfab portfolio and you can access any model in AR! running on iPad Pro new 10 inch one – iOS 11. There is no menu no search possible only categories. Sorry about that Stephen, we’re looking in to it! We can’t seem to reproduce it on our end though, so this might take a little time. I am assuming the 3 horizontal bars in the top left are the ‘Menu’ icon. When pressed the whole screen moves 20 pixels or so to the left and there is a white bar on the right hand side. I do not have an iPhone that can run this so I cannot check to see how it is supposed to behave. Also the app is fixed in portrait mode on the iPad – why? How do you guys rendering models into ARKit ? As a student im wondering how it is possible for 100K objects. We’re using the same WebGL technology everywhere – both on desktop, mobile and for mobile AR. 100k models will probably be quite slow though on most mobile devices. Been playing with it for a while now and have a few suggestions. These are not criticisms as I think you’ve done an awesome job getting this out so soon but ideas for improvement. 1. Anchoring. I’m having problems anchoring an object regardless of surface. I’ve modelled a machine we use ( https://skfb.ly/69n7r ) and whenever I move backwards the machine moves with me rather than stay in one place. This isn’t the surface as I compared it to an AR app written in Unity from the app store. AR Airplanes. When I place this on the same surface it is rock solid. No matter where I move to it stays there matter where I move. 2. Shadows. Is there any way to get a shadow under the model. Again if you look at AR Airplanes you’ll see a shadow that moves and resizes with the object. Or does this have to be done in Sketchfab? 3. Placing reticule. I find the Sketchfab one very large and it keeps appearing once my model is placed. Again I refer to the AR Airplanes. The small blue square works much better in my opinion. Hi guys.Any demonstration to show sketchfab content in arkit with personal app ? This is really great! Is there a way to have a “shell app” that we can distribute to our customers that features our brand and our models only? I would like to share models that pertain to our products but I don’t want to open the door to all of the models in the SketchFab universe. Does this make sense? We’ll continue to improve the performance, but in general lighter models will work better with ARKit. Also, ARKit should pick up markers automatically – there’s no specific support for it. A simple trick that often works is to use a newspaper or other non-shiny print for extra detail. I downloaded the skethfab app .. there’s no AR button on the top right .. only VR ..
Why is that? is there another app besided skethfab I need to download? (I have iphone 5 with iOS 10.3).. Sorry about that! It might be because ARKit is only available for iPhone 6s and above. do I need to download this ARkit seperately or what? For some reason sketchfab app stopped working on my phone , it doesn’t load content, login button doesn’t work as well (at first app worked well so I assume its not my phones problem). And on website I have no problems. I don’t know if I was clear. What I meant was if it is possible to add some QR code or an image to be scanned and recognised to pop up a 3D model from it. Thank you very much. This is something I might be interested in too. Did you get an answer for it? This looks amazing. We would like to create our own AR app and integrate the Sketchfab viewer, this is possible via your api (and a premium/business account) correct? Isn’t It better to define a marker in AR mood? I Always have the problem to put the model in the right place and in the right scale! The app is made by ARkit? any way to have a NATIVE SDK for iOS?